A significant element in Passau’s pad design has to do with creating a sliding surface that is clean, smooth and uncluttered by graphics or stitching. To enhance these characteristics we now offer a product which will ensure a longer and more consistent glide during butterfly pushes and slides, even with poor or deteriorating ice conditions. 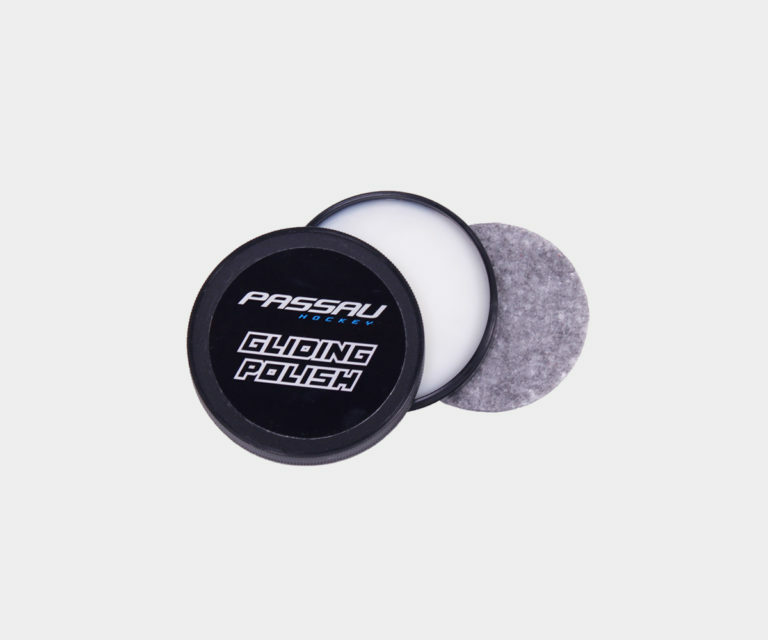 Passau Gliding Polish takes an idea that has been used in the ski and snowboard world for years and adapts it to the particular needs of goalies. Having a wax-like consistency allows it to adhere to the pads for longer, extending the time between applications and the life of the jen pro itself. It comes in a 84g size with its own applicator, enough for multiple treatments.